Former head of Counter Terrorism Bureau: Israel lost its deterrence. Hamas dictates to us when our defense minister resigns. Brigadier General (ret.) 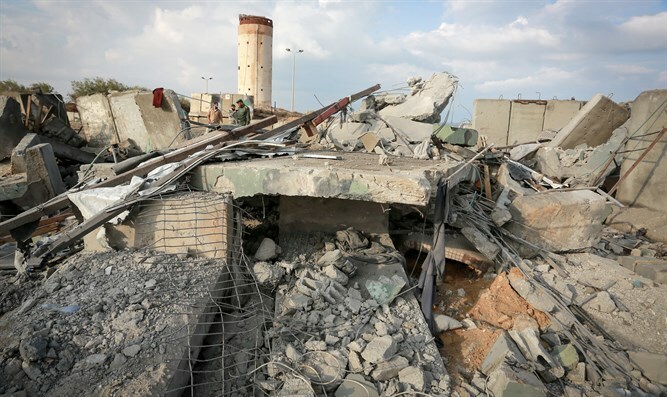 Yechiam Sasson, formerly the head of the Counter Terrorism Bureau, told Arutz Sheva on Wednesday that the ceasefire agreement between Israel and Hamas was the result of misguided activity by Israel over the past two years. "It was the long-term conduct in Gaza that brought us to the bad reality of the defense establishment's recommendation of a ceasefire. For a very long time we have been taking loans on the black market of Islamic terror and now we are paying a murderous interest," Sasson said. He opined that the very fact that Israel agreed to a ceasefire is “a result of the helplessness and improper action against Hamas." Hamas, Sasson continued, must be attacked consistently - and not just as a response to rocket fire. "When we react to their actions when they are already hiding underground, we only cause damage to real estate. The trick against terrorism is to fight in a continuous and consistent manner, not as a reaction to its actions,” he stressed. Sasson said he believes that there are ways to act against Hamas without conquering Gaza. "I think that the IDF's activity should include incessant attacks from the air, via the sea, and on the ground. I do not mean conquering Gaza, because that will not bring about results. We need to take advantage of every opportunity to carry out targeted killings [of Hamas officials],” he said.